This is the sixth entry of the resilience blog series, written by Jennifer Denno Cissé, a PhD candidate at Cornell’s Dyson School. Follow her on Twitter @jenncisse. With the growing focus on resilience programming among donors and implementers, resilience measurement is potentially a powerful tool for targeting and evaluating interventions. But who are the non-resilient? Simply, the non-resilient are those individuals (or households) who are likely to live in poverty in the future. This poverty may be structural or stochastic (as a result of a shock), and it is certainly multi-dimensional. Ideally, we would like to target and evaluate programs on many dimensions of well-being, including income, food security, health, education, etc. Resilience measurement builds on the vulnerability literature (e.g. Christiaensen & Boisvert (2000), Ch. 12 of the Handbook on Poverty and Inequality), which is similarly interested in ex ante measurement of probabilities of well-being. While ex post poverty assessment is important for understanding demographic trends, poverty traps, and the general welfare of the population, forward-looking measures allow us to target the individuals who may or may not be poor today, but who are likely to be poor tomorrow. While the probabilistic approach to measurement is incredibly powerful, it is also somewhat challenging to implement. Building on the theoretical work by Chris Barrett and Mark Constas (2014), we are able to estimate household level probabilities of well-being by parametrically estimating the mean, variance, and even higher order moments of the individual’s underlying well-being distribution. These probability distributions tell us what the likelihood (i.e., probability) is that a household will achieve a certain level of well-being in any given period. Taking advantage of data on pastoralists in northern Kenya, collected by ILRI with funding from the UK’s Department for International Development (DFID), the United States Agency for International Development (USAID), and the World Bank, Chris Barrett and I have estimated household-level probabilities of well-being in past periods and witnessed how the household’s well-being responds to shocks. While for some (primarily settled) households, the portion of a household’s well-being distribution in terms of the number of different food categories it consumes (also known it household dietary diversity score, or HDDS) is initially quite high, it shifts quickly and dramatically down following a catastrophic shock (i.e. the 2011 drought in the Horn of Africa). As researchers and practitioners, we select relevant well-being thresholds, which may be, for example, dynamic asset poverty thresholds that indicate the presence of an asset-based poverty trap, or subjective well-being thresholds such as the poverty line. We then calculate the probability, for each household, that it will reach the threshold level of well-being. Only households with a high probability of reaching the threshold are considered resilient. Once we have calculated the resilience of individuals or households in a given area, we can add these scores up using a Foster, Greer, and Thorbecke (FGT, 1984) type aggregator in order to calculate a resilience index. The index allows us to compare resilience across groups, for example male- versus female-headed households or nomadic versus settled households. In preliminary results we see that female-headed households are consistently less resilient (in terms of HDDS) than male-headed households. We also see that settled households have much greater HDDS resilience than nomadic households. And while the settled households do lose quite a bit of resilience after the drought, they are able to regain this resilience quickly. 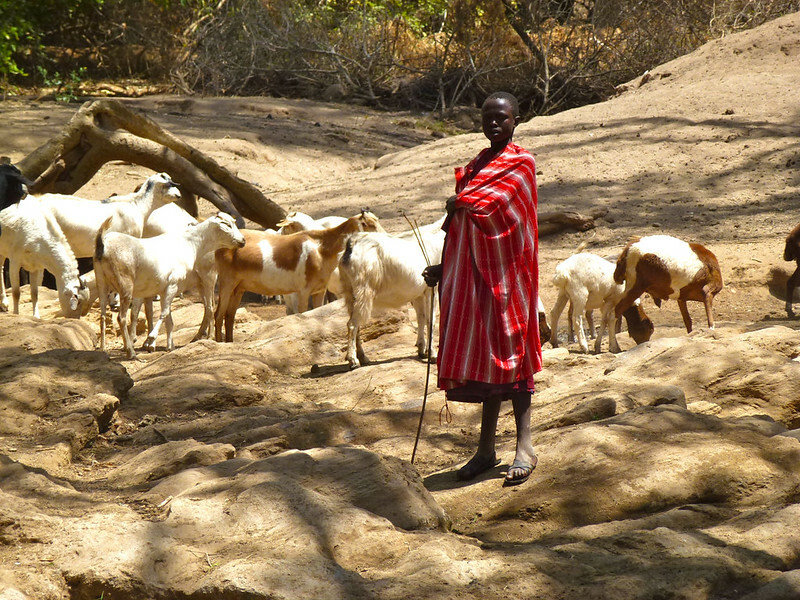 Resilience measurement provides us with a powerful targeting tool and, as the ILRI resilience blog series demonstrates, experts around the world are thinking about how best to implement resilience programming in vulnerable areas, such as arid and semi-arid lands. Resilience interventions in northern Kenya might take advantage of this analysis to target female-headed and nomadic households. This measurement approach can also be used to evaluate the impact of projects. 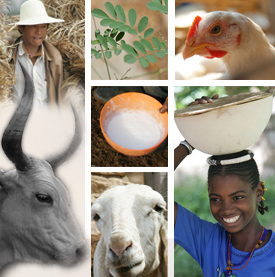 In future work, I plan to estimate the impact of an innovative index-based livestock insurance product on resilience in these same communities. Meanwhile, stay tuned to the Economics that really matters (ETRM) blog for updates on our work, and read other posts in the ETRM resilience series.